Does your company sound noisy? Unsure of the noise levels and the effects that they may have on the employees at your workplace? Then you need an occupational noise assessment to manage the risk of industrial deafness in the workplace. Safe Environments are qualified occupational hygienists and noise consultants are safety specialists whose results can be relied upon to undertake quality noise assessments at your workplace. 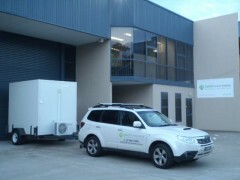 With offices based in Sydney and Melbourne, Safe Environments provide noise assessment services throughout Sydney regional NSW, Newcastle, Wollongong, and Melbourne and throughout regional Victoria. Chapter 4 of the NSW Work Health and Safety Regulation 2011 requires that an occupational noise assessment be carried out in workplaces to ensure that the exposure standard for noise is not exceeded. The NSW WHS Noise Regulations and ACT apply to all a PCBU (Person Conducting a Business or Undertaking), including companies and workplaces, charity and volunteer organisations. The PCBU is required to manage risks to health and safety relating to hearing loss and industrial deafness associated with noise. When Should the Noise Assessment be Conducted? Ideally the noise assessment should be first initiated during the design stage of a new facility or before purchasing new equipment to understand and protect the workers from loud noise. The noise checks should be conducted prior to first undertaking work. 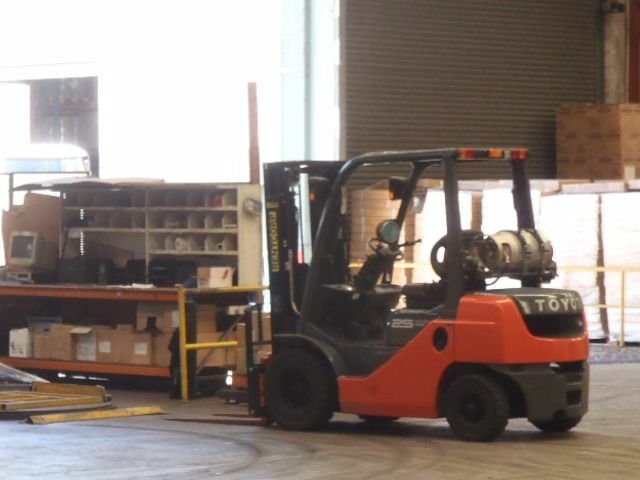 If the noise within an area appear to be loud in say an existing factory, warehouse, and then a noise assessment should also be carried out. An assessment on noise from plant and equipment should be also be undertaken. Who can Undertake the Noise Assessment? A noise assessment should be conducted by a competent person as outlined with the NSW Work Health and Safety Regulations. A suitable person generally will have a science or engineering background with a fundamental understanding of the physic of sound and how sound waves act in building and on people. Noise assessors also will be knowledgeable of the workplace health and safety requirements as well as understanding the operational use of noise measuring equipment. A good rule of thumb is that if when you’re at your company or business and you’re required to raise your voice to hear someone from one meter away then, the noise levels at the workplace is likely to exceed the exposure standard and conduct a noise assessment. This is now the time to call the noise assessment experts to provide accurate noise monitoring. The noise assessment conducted to AS/NZS 1269.1 Measurement and assessment of noise immission and exposure. 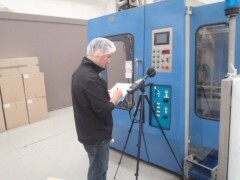 The Australian Standard for noise recommends noise measuring equipment such as Sound Level Meters (SLM) and Personal Sound Exposure Meters (PSEMs). A preliminary noise assessment is first recommended by conducting a preliminary noise survey. 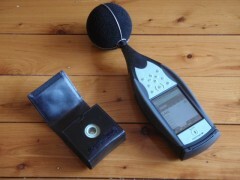 Where the noise levels are measured to be above 80 dB(A), then a detailed noise assessment is recommended. A quality noise assessment company will have access to their own noise measuring equipment. Many noise consultants hire noise measuring equipment, which tends to wonder whether they are really experts in the field. 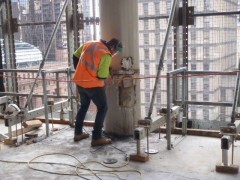 Safe Environments use a Bruel and Kjaer 2250 top of the line noise level meter and cordless noise dosimeters to ensure accurate assessments of the workplace noise levels. How is the Noise Assessment Carried Out? The preliminary noise survey is first undertaken at the workplace to ascertain representative noise levels within the workplace, understand the noisiest activities and be knowledgeable of the work activities that are being undertaken onsite. From the preliminary noise assessment, a detailed noise assessment is conducted to then measure and evaluate the daily noise exposure of similar groups of employees, known as Similar Exposure Groups (SEGs). The length of the working shift will also affect the way in which the assessment of the noise exposure is determined. The longer that a work shift is, the less time that the ear is allowed to recover before being exposed again to the noise. As a consequence, a method of modifying the noise exposure is calculated affects the reported daily noise exposure. Other factors such as Hand Arm Vibration (HAV) and ototoxic agents increase the risk of industrial deafness associated with high noise levels. Hand Arm Vibration appears to have a sympathetic reflex to the blood flow to the cochlear within the ear due to noise. This increases the effect of noise which exacerbates the effects of hearing loss. 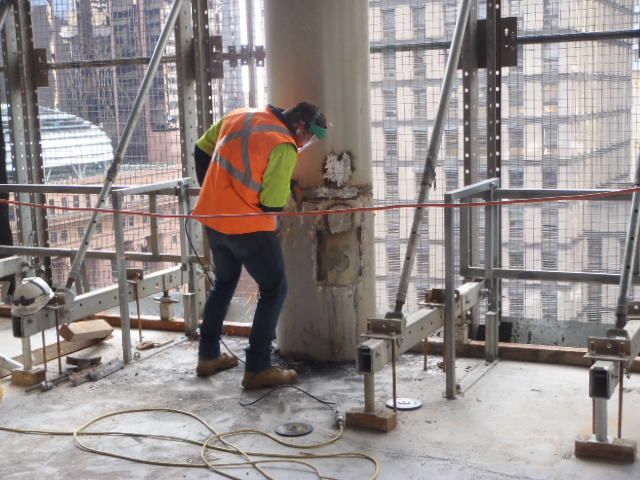 Hand Arm Vibration can be measured by Safe Environments to Australian Standard AS 2763 – Vibration and shock – Hand-transmitted vibration – Guidelines for measurement and assessment of human exposure to assess in combination with noise level measurements. Ototoxic agents are chemicals which may have an additive or synergistic effect, increasing the risk of hearing loss with the noise exposure. The main chemicals associated with the effects of noise include metal dusts and organic solvents. Safe Environments Occupational Hygienists are at hand to identify and also measure the concentration of ototoxic agents in the workplace, ensuring that the risk of hearing loss is minimised. Once noise assessment has been undertaken, then a formulated strategy is required to manage the risk of hearing loss in the company’s employees. AS/NZS 1269.0 Occupational noise management. Part 0: Overview and general requirements. Aspects of controlling exposure to noise and hearing loss includes buying quiet programs, reducing the noise levels, use of acoustic barriers and administrative controls, along with Personal Protective Equipment (PPE). The right hearing protection is dependent on a quality Noise Assessment. Hearing protection that protects workers hearing can actually be a greater short term hazard! If the Personal hearing Protection (PHP) is too great, then this tends to isolate the worker from their environment. This protection from noise may make a person unaware of a forklift, crane or truck. The end result could be disastrous. What we though was protecting us from noise, was actually what we needed! Workers need to be aware of warning tones and noises in their environment for their safety. The hearing protection and situational awareness needs to be optimised to ensure safety in the workplace as well as protecting workers from Noise Induced Hearing Loss (NIHL). The NSW WHS Regulations require audiometric testing to be conducted at least once every two years when people are exposed to noise. These are an assessment on your employees to ensure that they have not suffered either temporary or permanent hearing loss associated with the workplace noise levels. To further assist in managing risk of noise and workplace hearing loss, Safe Environments can come onsite to your workplace to undertake employee hearing assessments, also known as audiometric testing. Our mobile audiometric testing booth is climate controlled to ensure that the background noise levels are adequate to reduce errors from environmental or office noise masking the results of the pure tone threshold audiometry.